As one of the most desirable summer destinations on the Mediterranean, Dubrovnik has a rich and variable nightlife scene to satisfy all the different preferences of its guests. After the sunbathing, swimming and daytime relaxation by the sea, it is logical to continue the fun even after dark. Dubrovnik offers something for everyone; there are numerous nightclubs, bars, galleries and concert venues; the majority of them inside the Old City walls and easy to reach wherever you are staying. 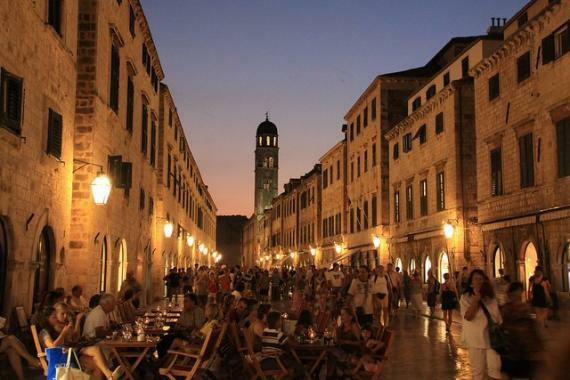 Even a simple evening walk through the city can turn into a fun and memorable experience in Dubrovnik. You can enjoy excellent music and other acts of the street performers during your walk down the Stradun Street and all around the city center. In spring and summer almost every city square becomes a stage for the countless theater and concert performances. If you want to experience the authentic beauty of Dubrovnik and the enchanting South Dalmatian atmosphere, it is essential to hear the Dalmatian vocal groups. The singers often spontaneously gather in the city streets and sing old Dalmatian songs about love and the sea. The Rector’s Palace often hosts some of the world’s greatest musicians. If you are interested in getting to know more about the Dubrovnik contemporary art, there are numerous galleries in the city center. 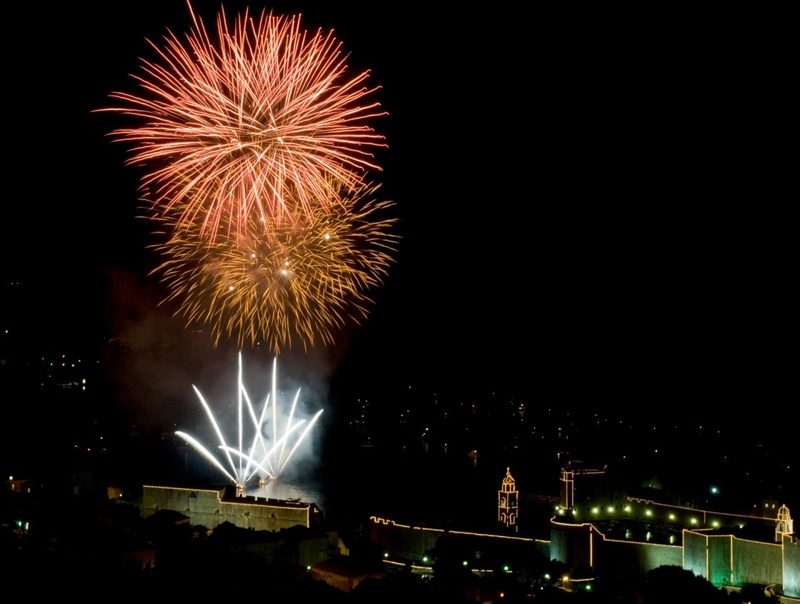 One of the most important cultural events of the season is the Dubrovnik Summer Festival held in July and August of every year. The festival takes place in over 70 open air venues; the city’s countless streets and squares often serve as a stage for some of the numerous performances from the rich program of classical, jazz and contemporary music, theater, opera and dance. And for those in search of a more dynamic night time fun, Dubrovnik offers a variety of night clubs and cocktail bars. Most popular club is Revelin, located at the entrance of the old town. It is a unique and spectacular club where Dubrovnik’s past and the present intersect creating an unforgettable atmosphere. While in renaissance Revelin used to be a fort, today it leads a double life: archaeological museum during the day and popular nightclub by night. You can enjoy the energetic beats of the contemporary electronic music in Revelin throughout the season. There is a number of smaller nightclubs, cocktail bars and discotheques throughout the city (e.g. EastWest club at the Banje beach, night club Capitano). There is even a Latino club, Fuego, if you are in the mood for the hot Latino dancing rhythms. Dubrovnik has one casino club if you’re interested in trying your luck and two cinemas in the city center if you’re looking for a more relaxed night out.